Combining the term piano and leggero, Italian for “light,” these new 76-key portable keyboards emphasize portability, interactive features and piano Voice quality, Yamaha says. Featuring the Graded Soft Touch keyboard action, the NP-V60 and NP-V80 feature the USB-TO-HOST port which connects directly to any MAC or PC for musical applications. Both models weigh under 16 pounds, include 361 XGlite instrument Voices and feature 30 internal songs for use with the Performance Assistant function and lessons. The NP-V80 features an Intelligent Arpeggiator, which tailors keyboard grooves to the sound of the player’s choice. Select a Voice and play a chord – the arpeggiator does the rest. The NP-V80 also comes with USB-TO-DEVICE port for saving and loading song content, an enhanced speaker system and a footswitch/sustain pedal. The NP-V60 and NP-V80 (MSRP: $499.00 and $599.00 respectively) are expected to ship in Summer 2010. 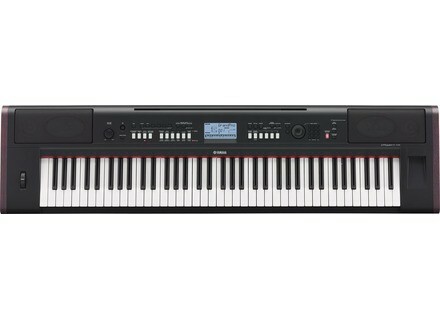 For more information on the Piaggero Series, visit www.yamaha.com/keyboards or www.yamaha.com/digitalpianos. Roland Lucina AX-09 Shoulder Synthesizer Roland announced that the Lucina AX-09 is now shipping. Teenage Engineering OP-1 Demotracks Available now are two new demos of the tape EQ and the distinct and raw sound of the OP-1.